Available Finishes: Polished Ebony or Mahogany, Semi-Gloss Mahogany, Walnut or Cherry, Satin Ebony. Also available in Bubinga and Pommele. 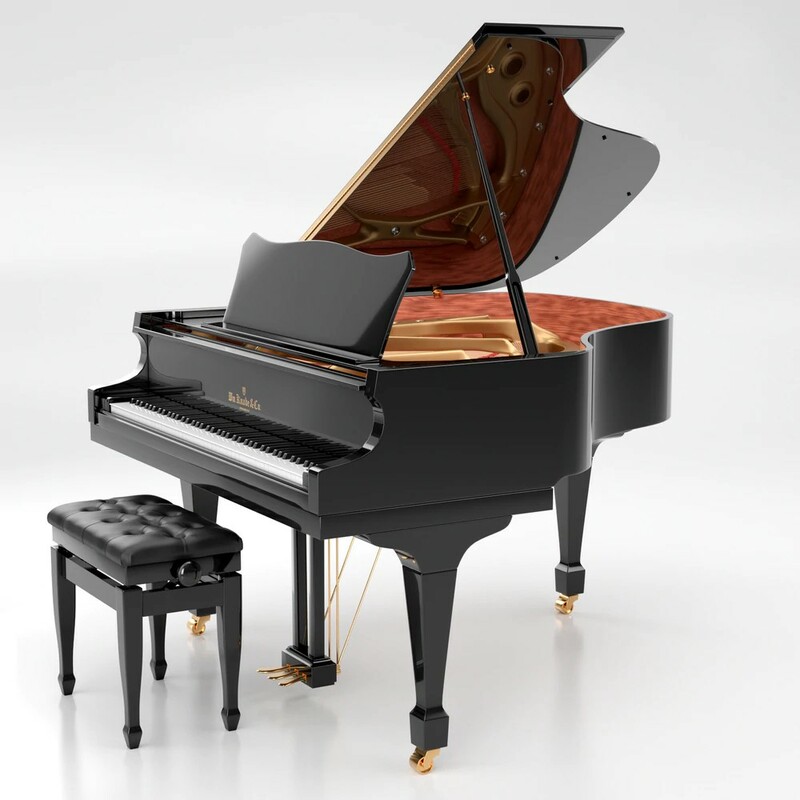 WGS54 features Polished Ebony and Mahogany with turned legs and ornate music rack.